Flickr user Garry_rocks has been churning out an endless supply of stunning mecha and hardsuit designs ever since he joined in November. 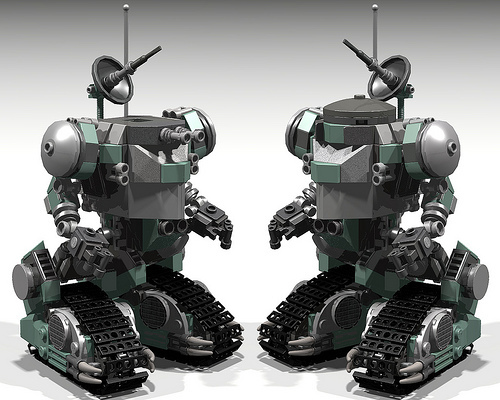 I tend to overlook strictly virtual creations more than I probably should, and Garry reinforces that I should pay closer to attention to LEGO Digitial Designer (LDD) models more often. The fact that he creates these models without being able to hold the bricks impresses me even further, when I build it is always by trial & error and just generally fiddling with the pieces. If you haven’t already, you must take some time to browse through Garry’s stream. 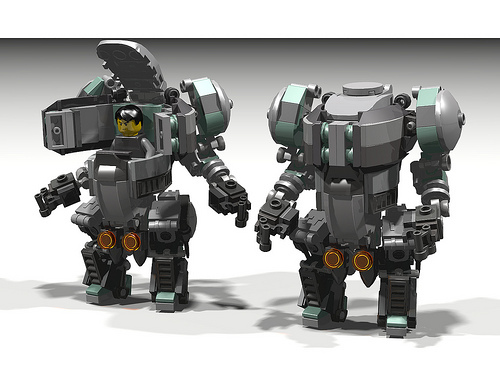 It is guaranteed to inspire all the mecha and sci-fi builders out there. Garry has a total knack for creating fantastic cockpit designs at a relatively small scale…trust me when I say that I have been making notes. Man, those mechs are awesome. Love the first and last one especially.